Hi friends! Long time no talk! I was in Mexico for over a week visiting family and just got back to reality 🙁 Let me tell ya, the entire visit was an experience and it will definitely go down in history lol! My sister and I drove there (about 6.5 hrs) and spent a few days with our older sister that lives in Hermosillo Sonora. On the weekend we had a HUGE family reunion in Kino Bay . 27 people total…..plus 5 dogs!!!! Can you imagine the chaos? I will spare you the details because I would have to write a book and can’t do that right now. I’m still recovering from a very happy trip but it was exhausting at the same time. I will say that it was great to reconnect with family and eat amazing food! One night in town we went to a Festival and guess what I HAD to eat? 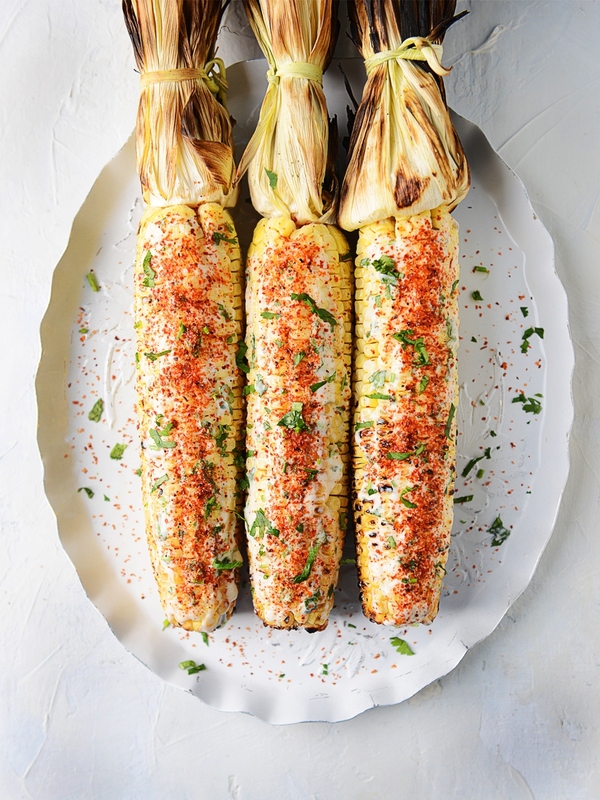 An Elote!! I’m the Elote queen so I can’t pass the opportunity to eat one. 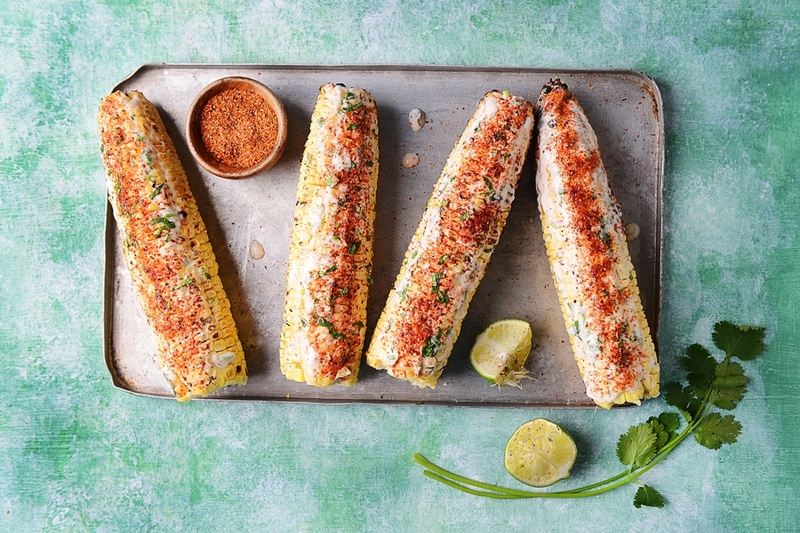 When I was a kid I would eat Elotes like most kids eat Ice Cream. Seriously. We had the Elote man (riding a bicycle adapted to carry a humongous bucket full of steamy hot corn on the cob) go by our house almost everyday. Every time he would go by our house he would ring his little bell to let me know he was there. He would wait for me since he knew I would come out! 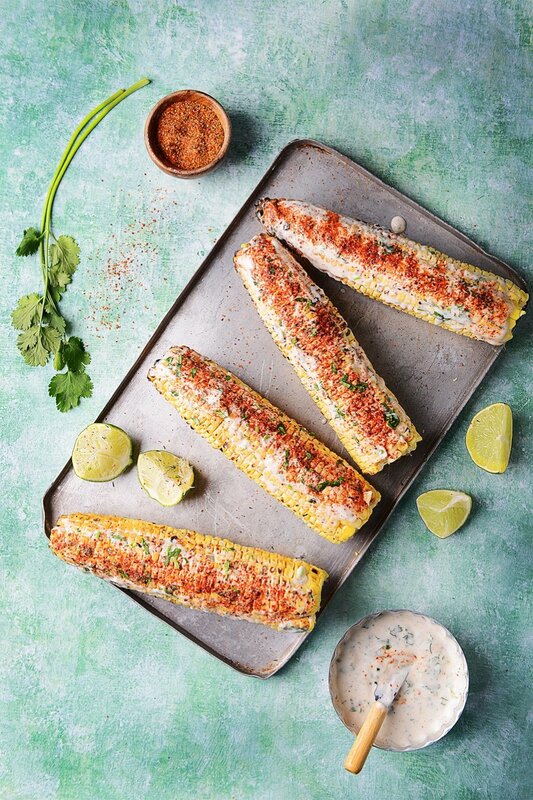 When Fry’s Food contacted me to see if I could do an Elote recipe collaboration for them I had to say yes! I mean, I’m the Elote Queen after all :). 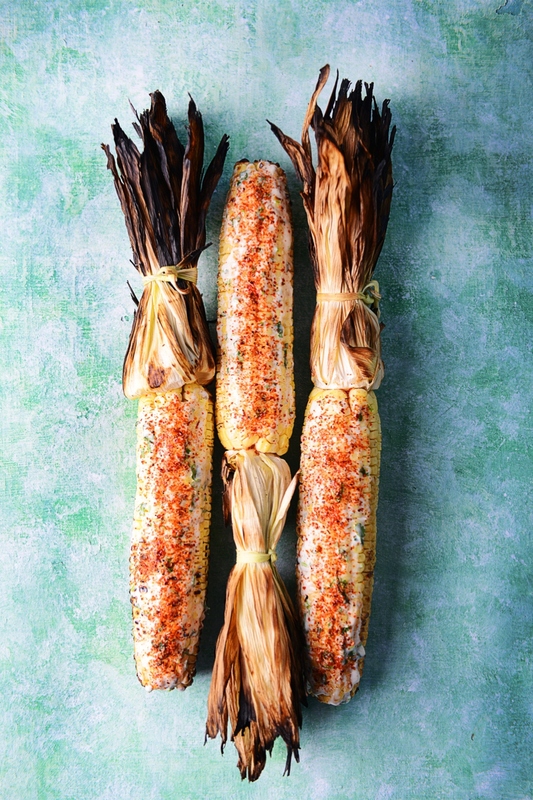 This grilled Elote recipe is so delicious that I guarantee you will be licking your fingers. 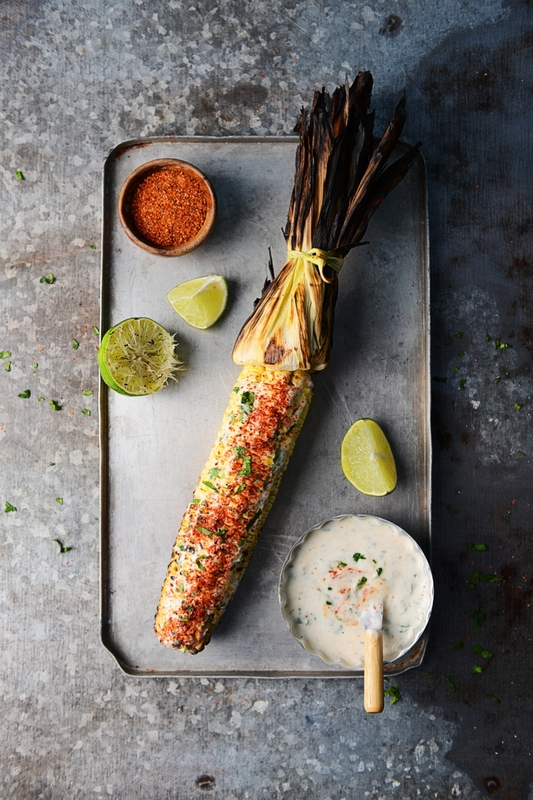 This is a great alternative to the typical Mexican Corn on the Cob made with mayonnaise and cheese. In fact, it’s now my favorite way to eat it. Soak the ears in water to cover for 15 to 20 minutes. 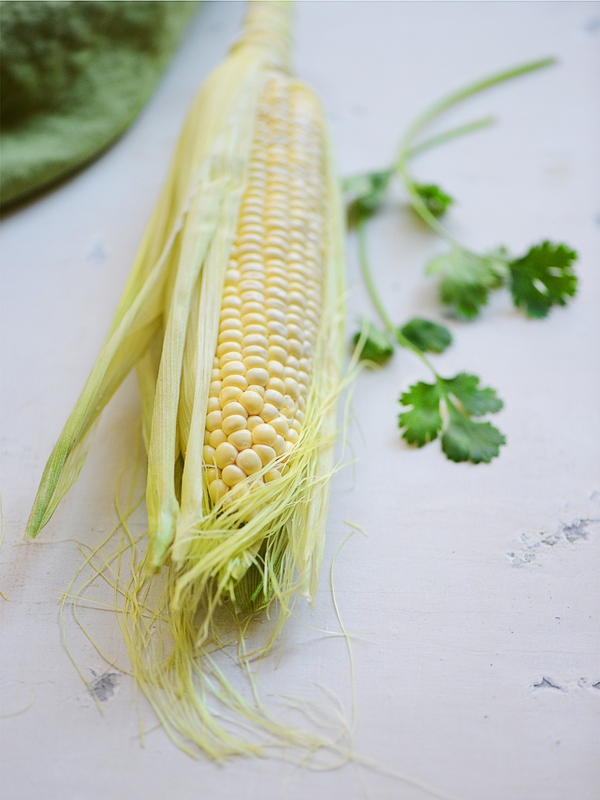 Pull the husks back from the corn, remove the silk and pull the husks back in place. 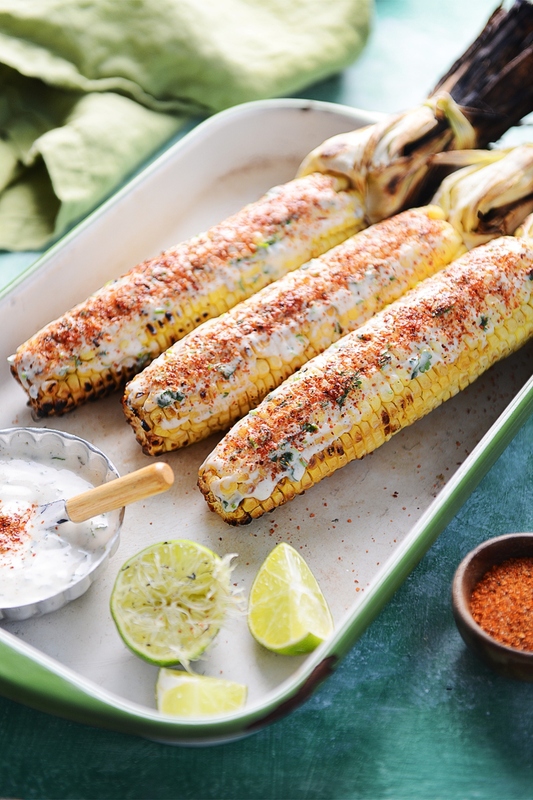 Place the corn directly on the grill rack and close the lid. Turn the corn every 3 minutes and cook about 15 minutes total. 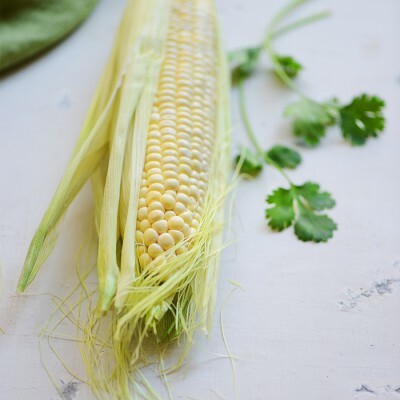 Transfer corn to a platter and without detaching the husks, peel them back completely, turning them inside out so they form a handle. 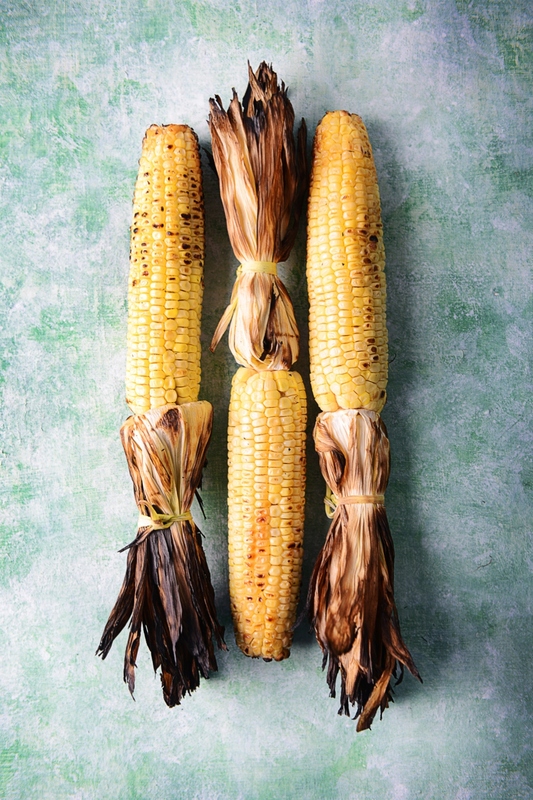 Brush the corn with some butter and return the corn to the grill for about 5 minutes, turning it frequently. 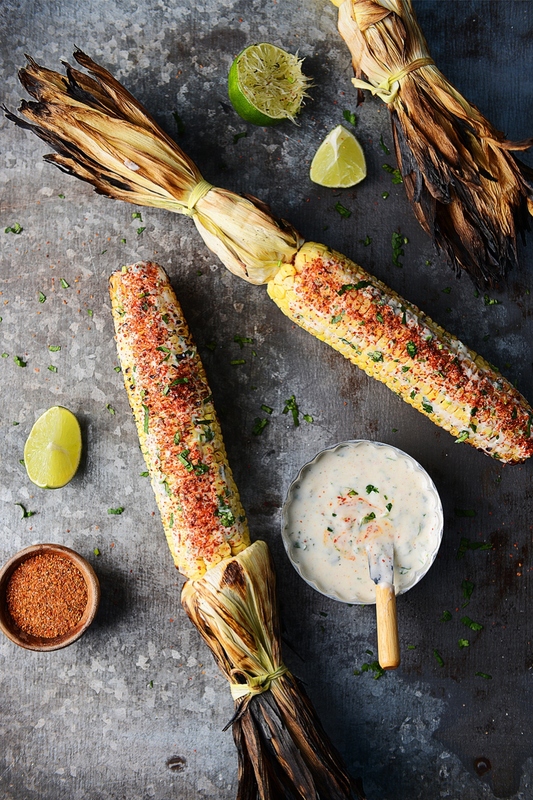 Return to the platter and brush with the Cilantro Lime Ranch & sprinkle with Tajin or Chili Powder. Combine all ingredients in a bowl and mix well. Store in refrigerator until ready to use.